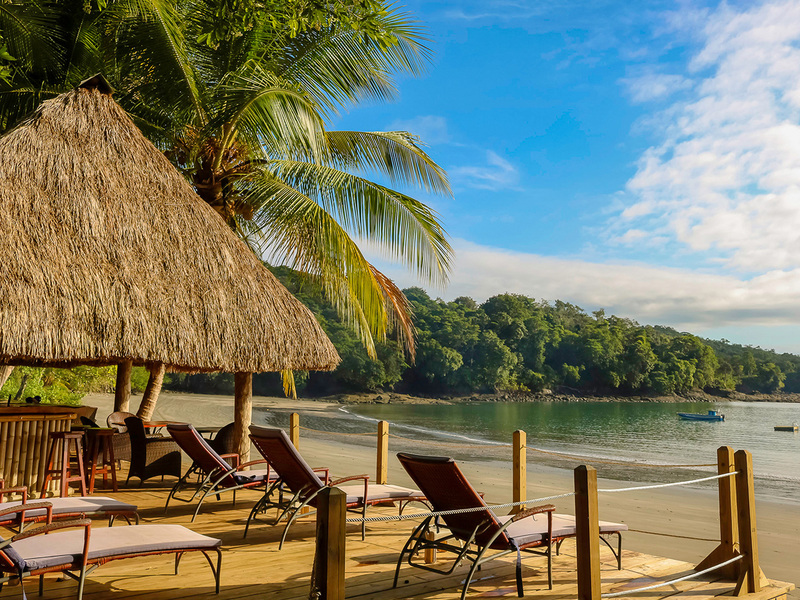 Our Panama fishing resort is located on Isla Boca Brava in the Gulf of Chiriquí on the Pacific coast of Panama. Our Panama Fishing lodge is the only Island based operation in the region that has a full service marina. 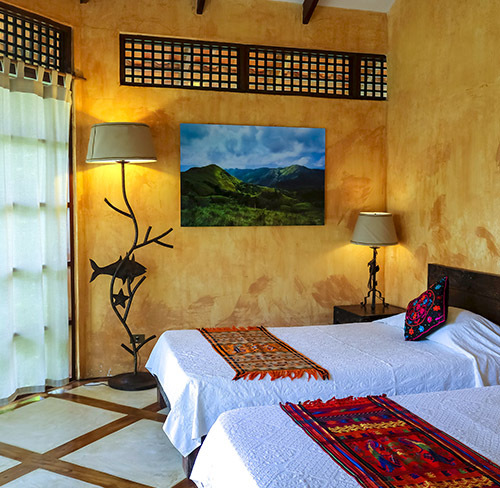 The all inclusive Panama fishing lodge is only 40 mins from the sport fishing and diving grounds of Panama. 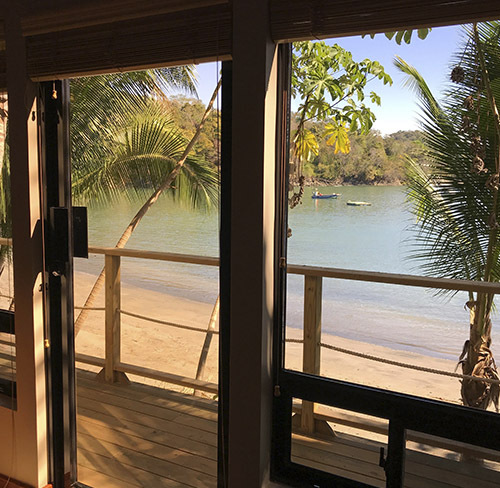 All bungalows have air conditioning, hot water, outdoor terraces and spectacular ocean views, while larger family fishing groups can use the Villa or Beach House which occupy up to 6 guests. Isla Boca Brava is a virtually uninhabited island in the Gulf of Chiriqui Marine National Park. 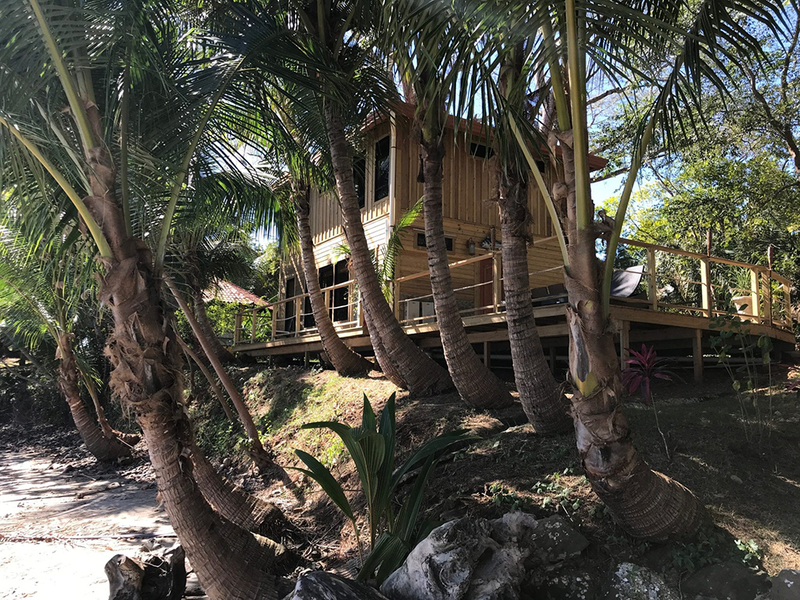 The island fishing lodge has access to innumerable secluded beaches and is a refuge for an abundance of wildlife both on land and in the water. 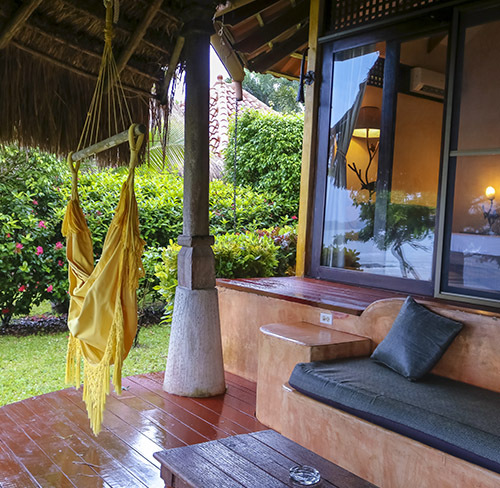 The Panama Fishing Resort offers 13 bungalow suites and is the perfect jumping-off point to explore the nearby islands, beaches and mangroves. 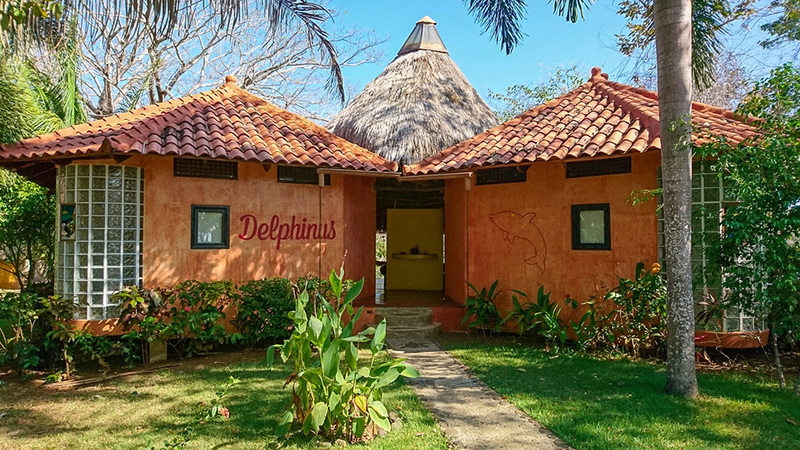 It is also one of the closest lodges to the world renowned sport fishing grounds (Coiba’s Hannibal Bank or Islas Las Seca) and scuba diving (Islas Los Ladrones). 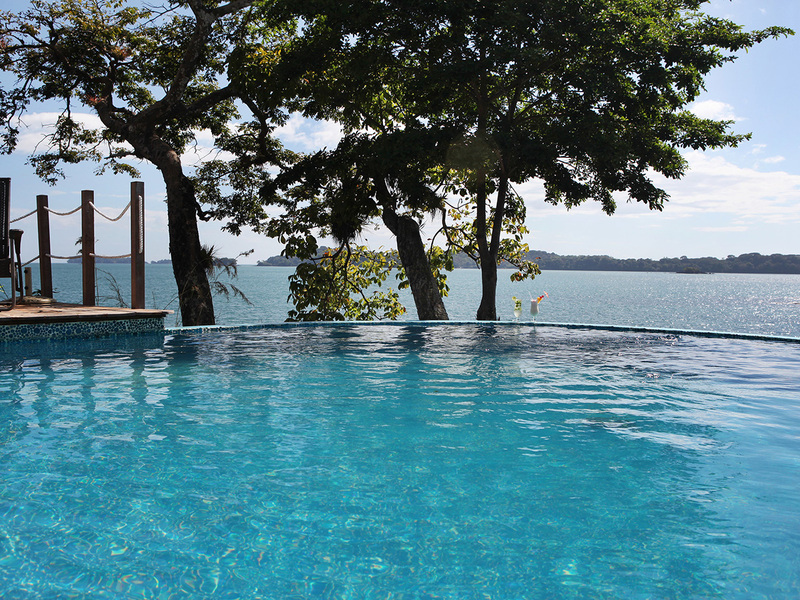 The Island Fishing Lodge has an Infinity pool with a spectacular 360-degree view of the Gulf of Chiriquí. Luna Azul beach bar sits on a white sand beach. At the lodge you will never be at a loss for things to do. The all inclusive lodge offers kayaks, paddle boards, hiking trips, horseback tours, rafting , spa services and of course hammock time. 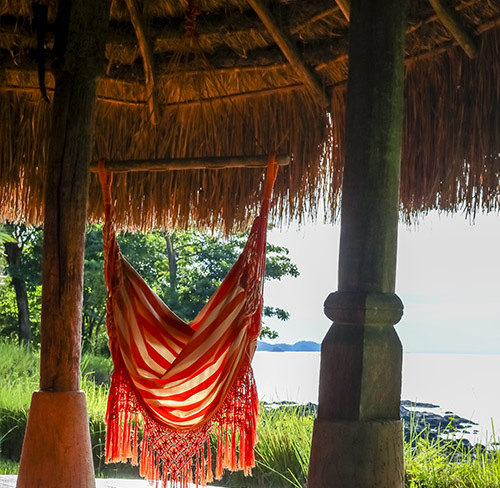 The Spa is located on a small island adjacent to the lodge allowing you to unwind after a day of sport fishing or diving action in the Gulf of Chiriquí. See our Activities here. In the evenings guests gather for cocktails at Beach Bar Luna Azul sampling fine aged rum over a relaxed chat. 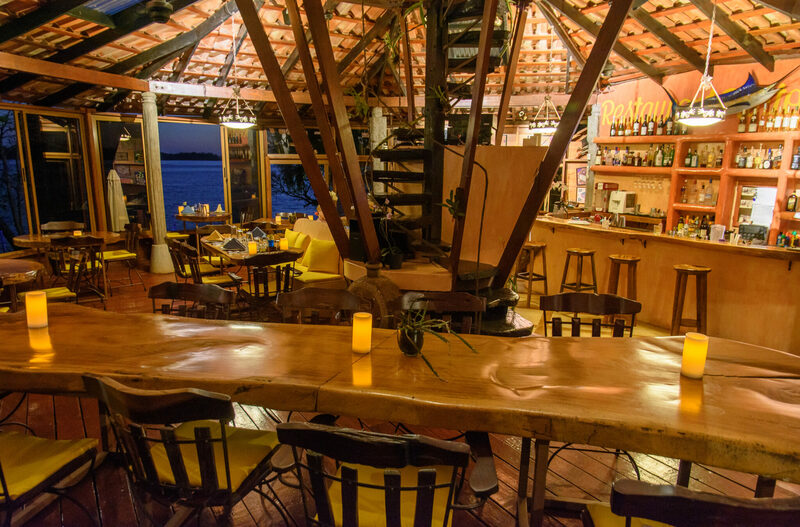 Point Sur restaurant offers a fusion of International and Panamanian delights prepared by Executive Chef. The restaurant’s 360-degree view is the perfect setting to enjoy the catch of the day or meat selections. We have developed an extensive vegetarian and sushi menu and dessert specialties. 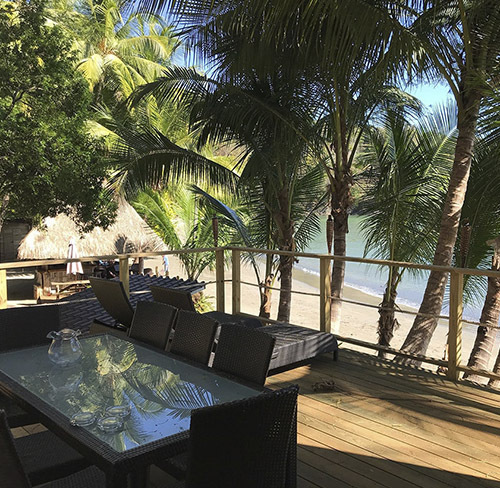 On days off the ocean the Luna Azul Beach Bar includes lighter selections for lunch including Ceviche, Panini Sandwiches, Fresh Pizza or BBQ Shrimp and Burgers from our large grill and clay oven. 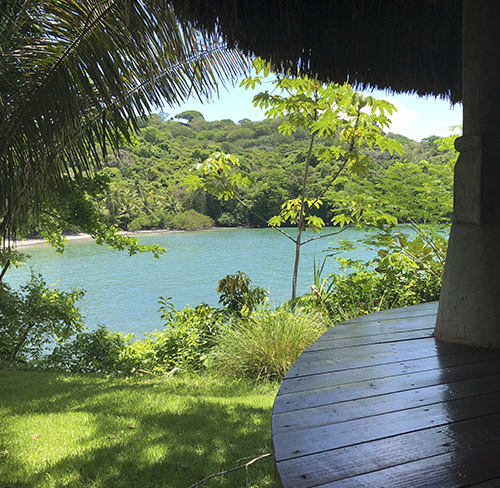 Wake up to the sounds of the ocean and the howler monkeys and enjoy coffee on your private deck surrounded by palm trees and hibiscus. 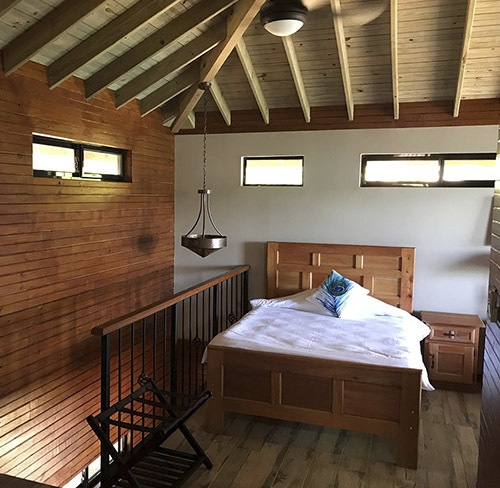 The two bedroom family bungalow offers you a place to kick back and enjoy your own slice of paradise.The relaxed outdoor living area that separates the two bedrooms; one with a king-size bed and the other two twin beds, makes this the ideal option for families or groups traveling. Breathtaking Beach Views. 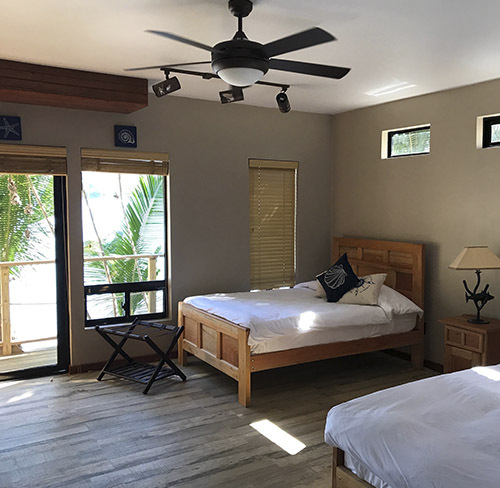 Located on its own, this Family Beach House has a fishing lodge style and is decorated with handmade furnishings. Two bedrooms and six beds, two bathrooms, large outside living area, terrace, and air conditioning. Sleeping up to six guests it has a very large terrace living area with a table for seven making for a perfect family holiday.